To-be-brides want him to dress them and with a good reason that too. Sabyasachi Mukherjee, India’s renowned haute bridal wear designer, an ace maestro expert in his own rights, knows just what the Indian bride wants. Each bridal fashion week has his collections being flaunted with utmost resplendence on the ramps. Needless to say, brides tying the knot are in awe of his creations – they speak of elegance, glamour, chic designs and uniqueness too. This is why, Sabyasachi is one of the preferred designers on every Indian girl’s mind, when she decides to make a statement on her big day. Here is one of his latest design with bridal wear to drool and swoon over – take a look! Rejoice, for it is Spring! While India beats the summer heat, ace maestro and fashion designer Sabyasachi Mukherjee heats up the mood for Spring Couture 2017; a collection that emulates the most-love season gone by, and as the name suggests, Spring with floral touches. The entire collection by Sabyasachi Mukherjee for the would-be brides, was an exclusive one, and keeping everyone in awe as always. References for the collection have been inspired basis the saga of the royal Sheesh Mahal. Sabyasachi has incorporated palaces and rose gardens as well, in his latest 2017 spring saga; making us go breathless with every piece showcased. 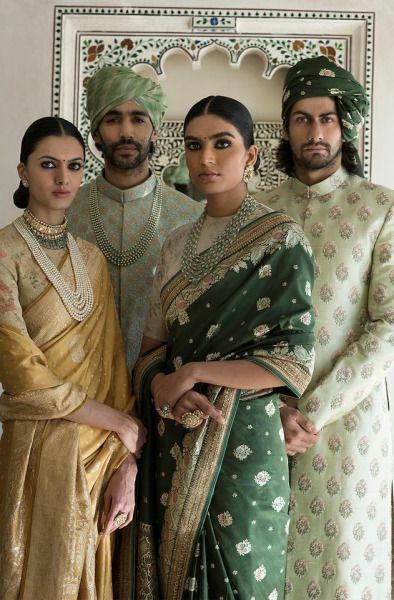 The royalty of Rajasthan at its best, Sabyasachi amalgamates the needs and wants of the young modern Indian bride and with designs so quirky; we cannot wait to get married wearing these. An intricate touch with utmost regal notes on each of his pieces; eye catching statements for the would-be Indian bride comes through with intricate and chic floral designs. Majestic is what we would pen down as a one word description for the collection hosted by Sabyasachi. Other tags that come to mind would be the glorification of the rich Indian heritage and culture for sure. Here are more designs by Sabyasachi from the same collection to skip a heartbeat upon. Royalty at its best, he never fails to impress us all; with cool colors, low V-neck cholis, embellished bridal wear sarees so gorgeous and lehengas with feminine floral notes, what else would the would-be Indian bride of this day and age want? 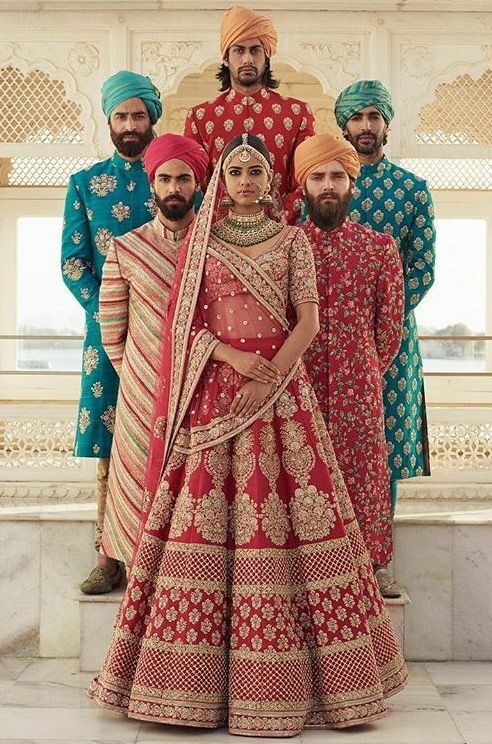 Except an equal dashing groom swooning her away from the mandap – Sabyasachi has a collection for the men too, unveiled this spring and on the majestic lines as he did for the women. Do write in and let us know which of the creations you liked the best?